This may have been a commissary or office building. I believe it had a commercial use. 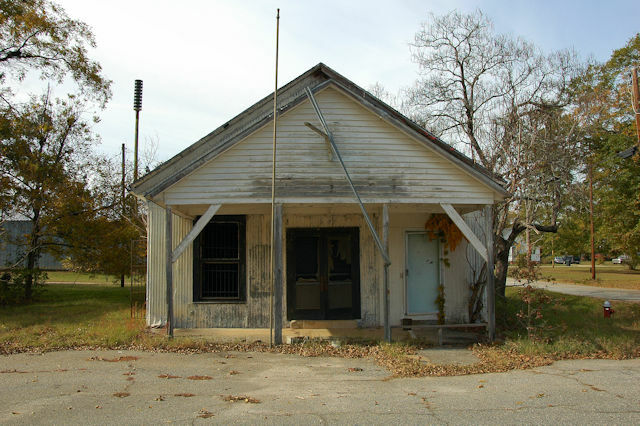 Mike Stokes writes: This abandoned store was the general store and post office in Elko for many, many years. 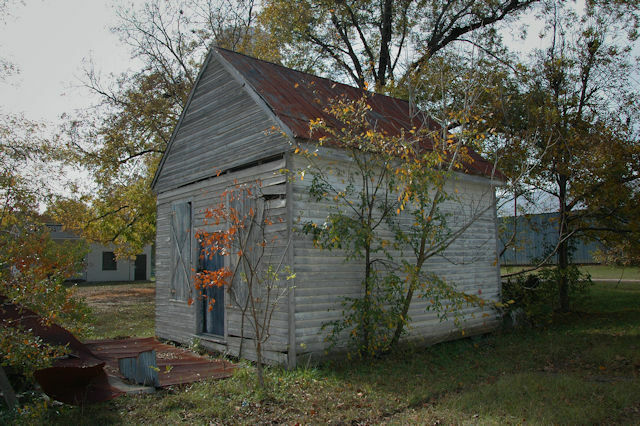 It was served as the post office until the early 1990’s when the new post office was built across Elko Road. 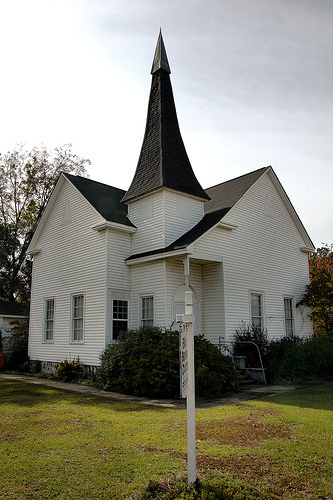 Elko Baptist was organized in 1890. I believe the church building is contemporary to that date but I haven’t been able to locate a history. 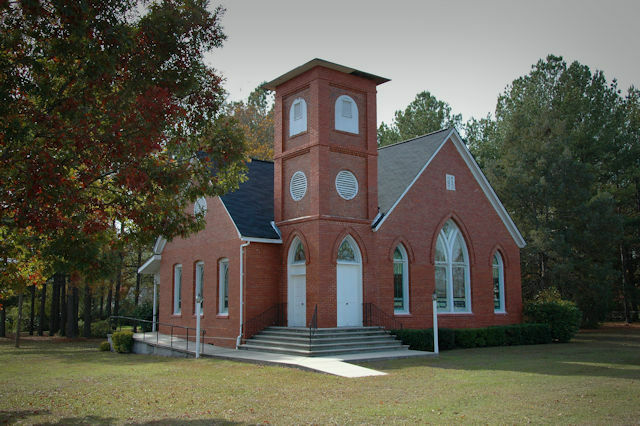 This church grew from the congregation of nearby Hickory Grove Methodist, and is thought to have been organized in 1892. This structure was built around 1910-11 after the first was struck by lightning.